Ann Arbor, March 26, 2018 – Drug-related deaths have grown to be a major US public health problem over the past two decades. Between 2006 and 2015 there were more than 515,000 deaths from drug overdoses and other drug-related causes. The economic, social, and emotional tolls of these deaths are substantial, but some parts of the US are bearing heavier burdens than others. 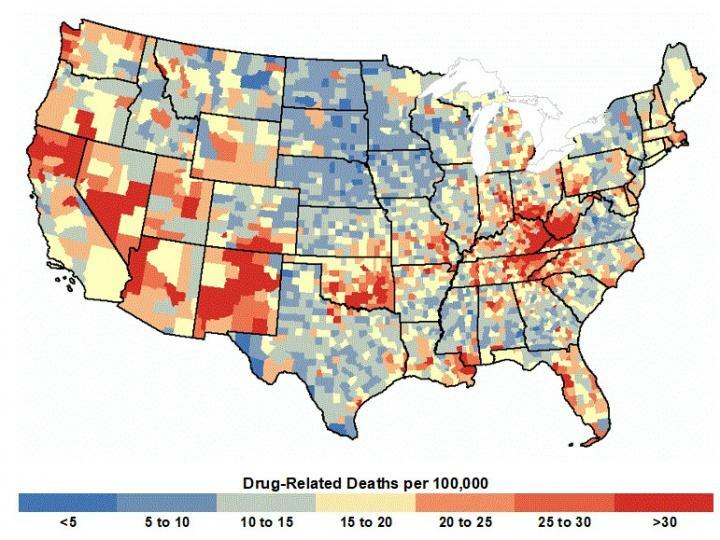 Evidence from the first national study of county-level differences suggests that addressing economic and social conditions will be key to reversing the rising tide of drug deaths, reports the American Journal of Preventive Medicine.